The goal of every business’ website is to convert visitors to leads and customers. Many marketers are focused on things like SEO and social media to increase conversions. While adding more traffic makes sense, it’s not the only factor. 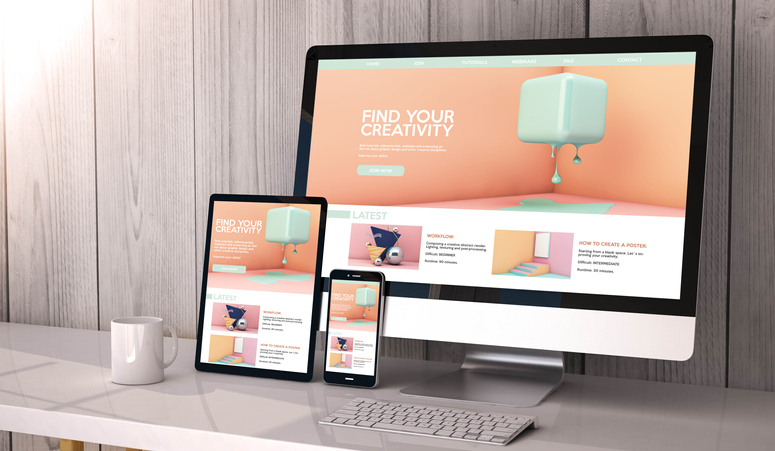 You can’t overlook the importance of your website’s design. While SEO and social media do matter, according to a Stanford University study, 46.1% of people say the company’s website design is a major factor in deciding if a company is trustworthy. Statistics show if your site is considered unattractive, 38% of people will leave your site altogether. So, how do you build a website that will help keep your customers engaged to the point of conversion? Here are a few strategies you can adopt in order to accomplish this goal. 31% of all traffic in the top ten digital properties comes from mobile devices like cell phones and tablets. That number is only going to keep increasing as more people begin to engage on smartphones and tablets rather than desktops and laptops. It is estimated that over half of the people who access the Internet do so through a mobile device. Creating a responsive website to cater to these devices and making your features more accessible to different sized screens will help. After all, if you’re not willing to adjust your screen in order to access content, don’t expect your customers to. If you still have an older website and haven’t been keeping up with the mobile boom, it’s almost certain you’re losing customers. It’s time to upgrade that dated site! Here you might want to follow a concept known as Hick’s Law, which states that the time it takes for an individual to make a decision is directly proportional to the number of choices they have. In short, you can boost conversions by limiting the number of choices a customer has to decide between. If your customer can’t find what they need within 2 seconds, they’re likely to leave for another site. Not having a sign-up form on your landing page might sound counter-intuitive, but consider this: a customer might feel intimidated if they are greeted by a long sign-up form the moment they reach your website. This also helps your business to differentiate between those just browsing and those who are truly interested in your product or service. If you do decide to keep a sign-up form on your landing page, make sure it’s easy for customers to navigate around it or eliminate unnecessary information fills. Remember, your content and marketing is designed to sell your product, not your landing page. Avoid placing your CTA in a cluttered area. Allow your customers some white space to provide them with the breathing room to make an informed decision. Anyone of these tactics can help your site to be more geared towards lead and conversion generation. Let us know what worked for you.